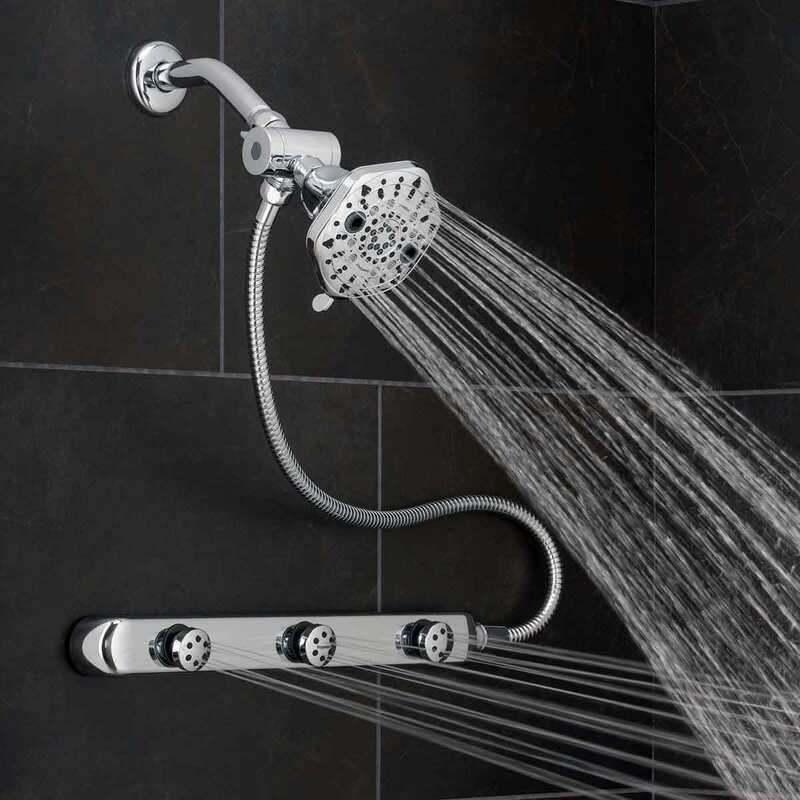 If your days leave you feeling like you're carrying the weight of the world around on your shoulders, then you need this Shower System. 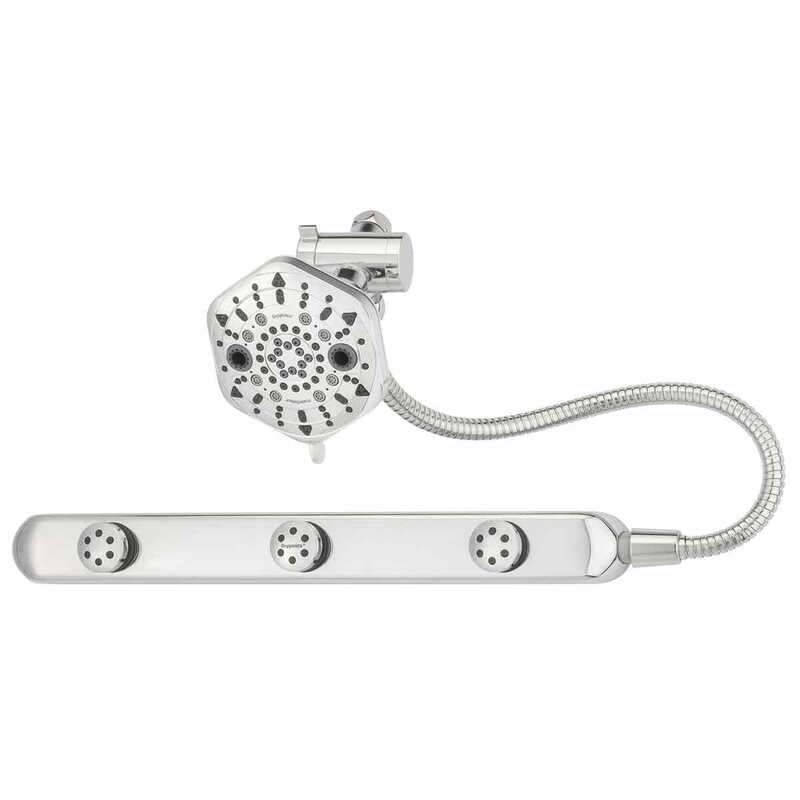 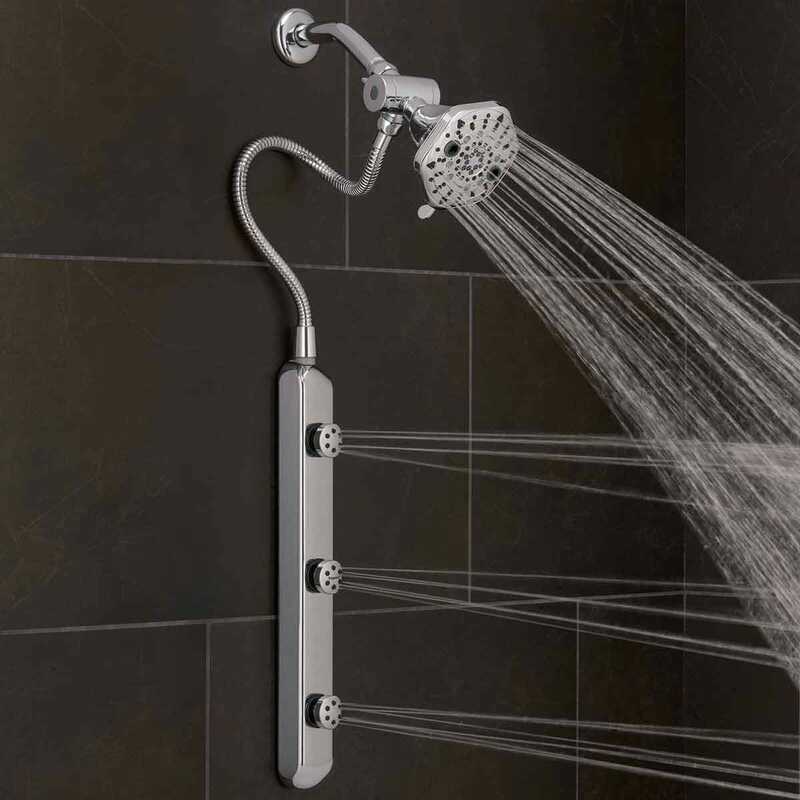 The Shower System has 7 supercharged settings coupled with the BodyBar’s powerful spray will provide you with up to 15 total spray combinations designed to ease your aching muscles and wash the stress of the day away. 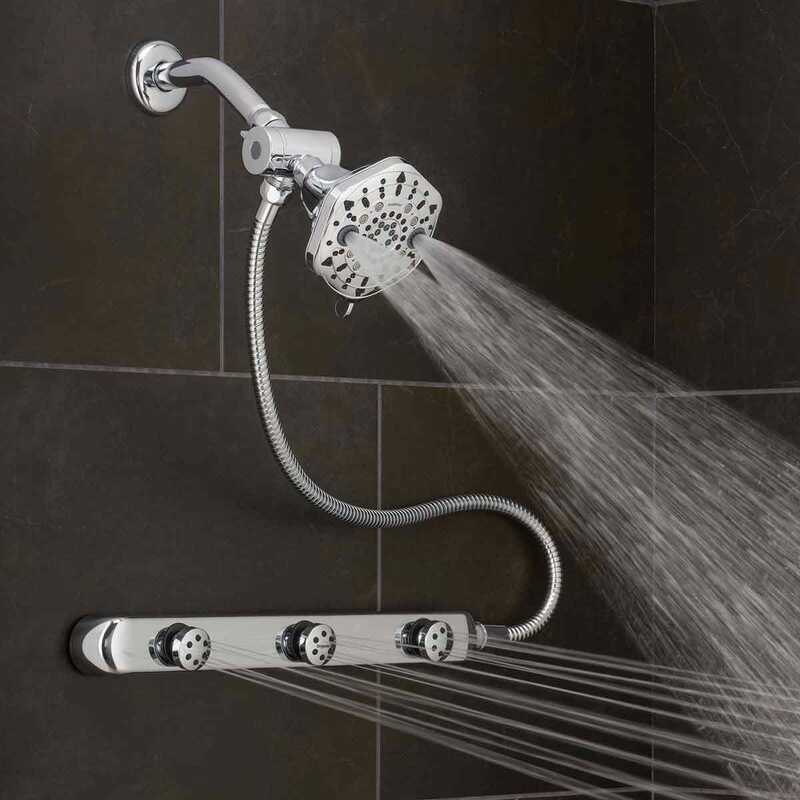 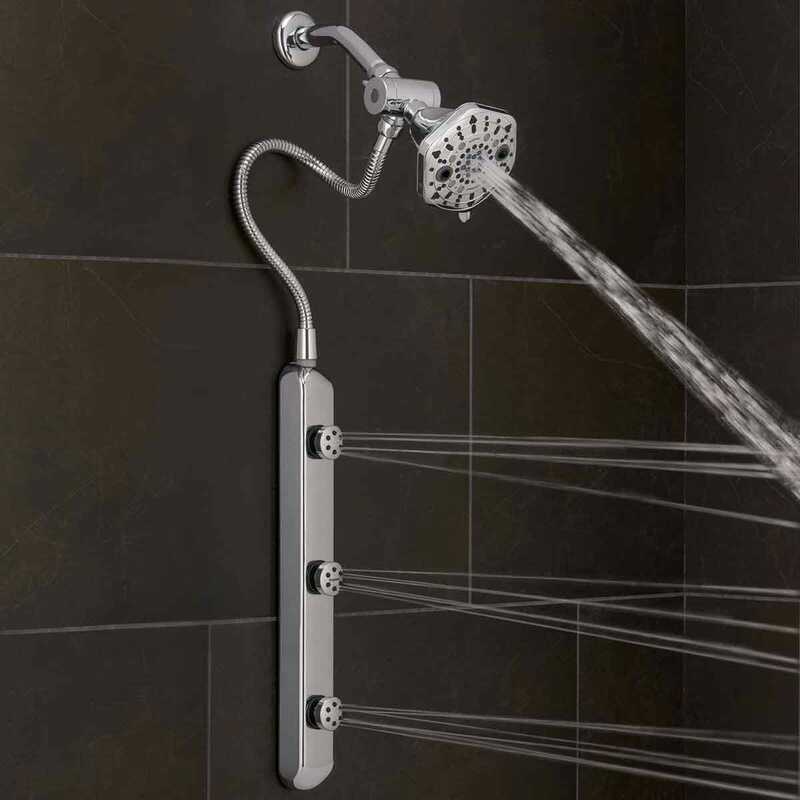 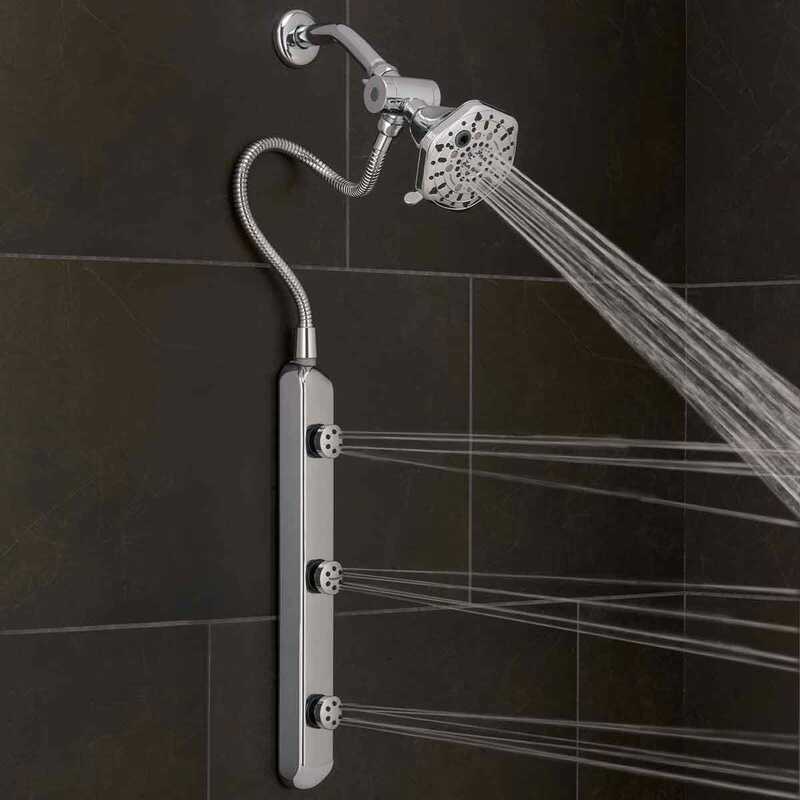 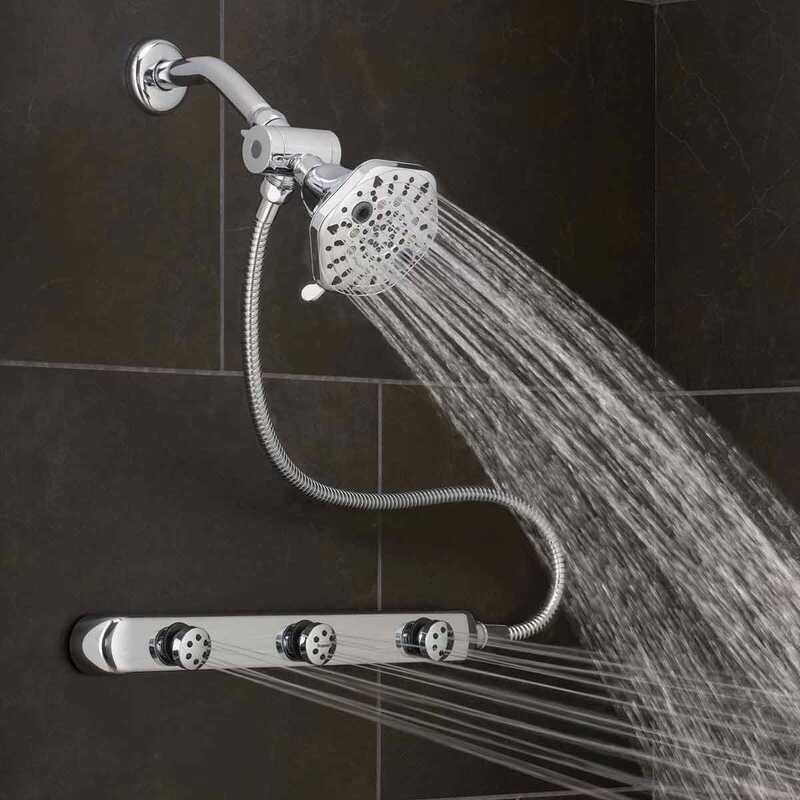 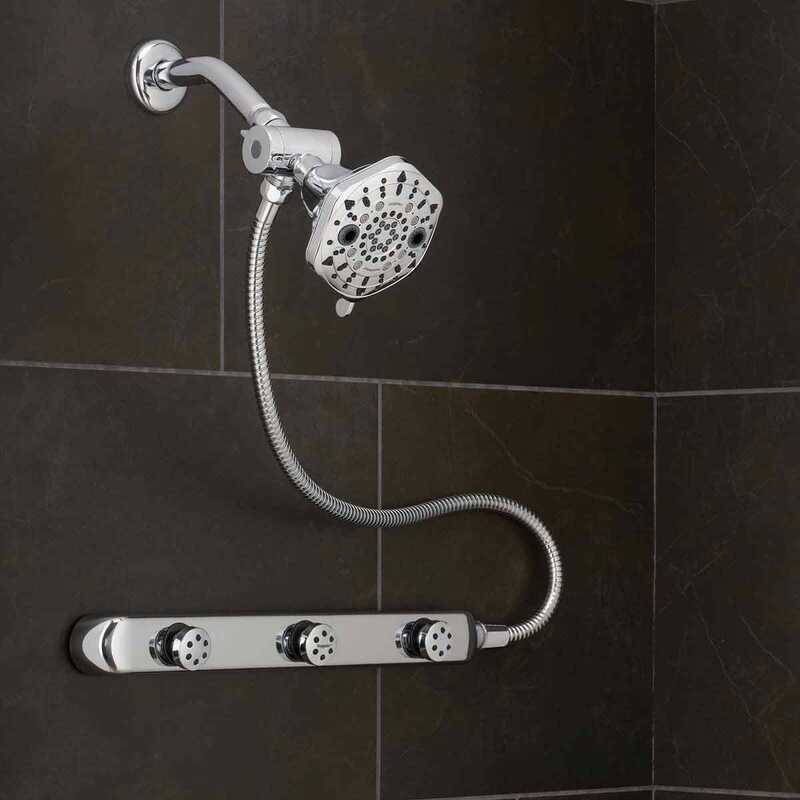 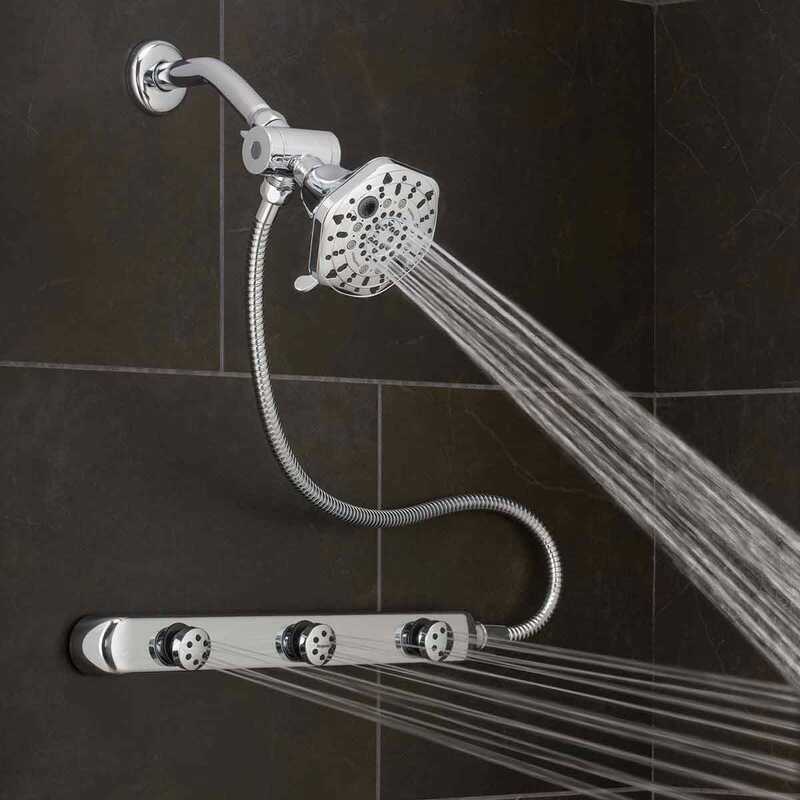 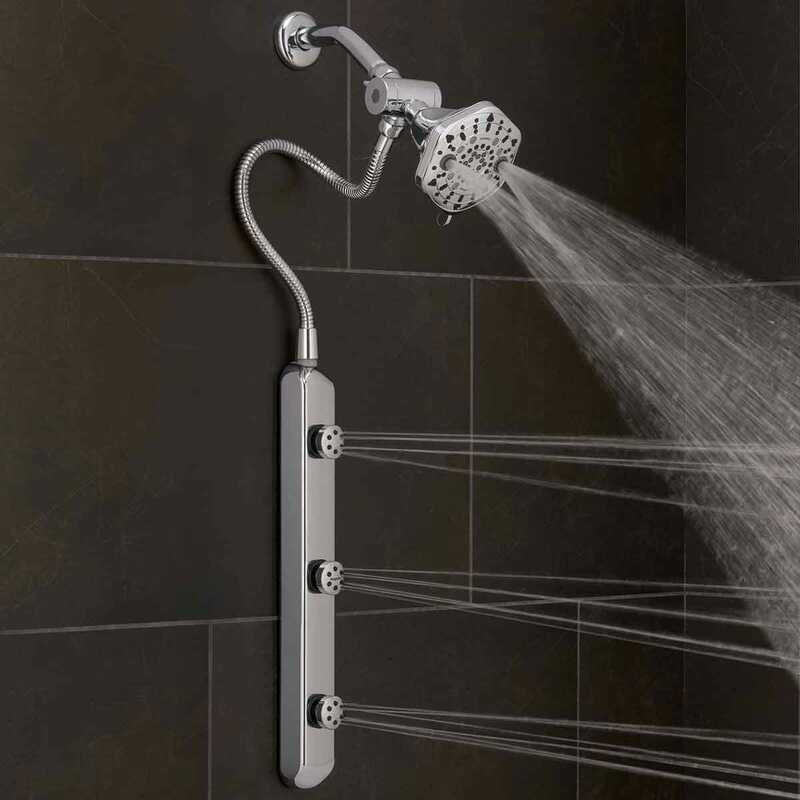 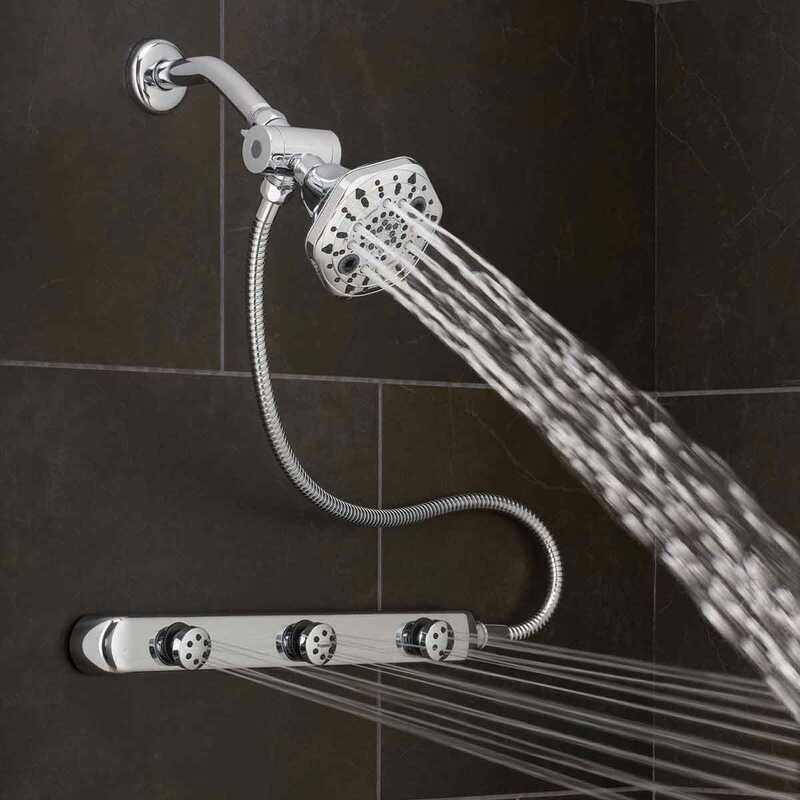 The Shower System 8" face provides maximum body coverage and the unique elevated base allows you to adjust the height of your shower. 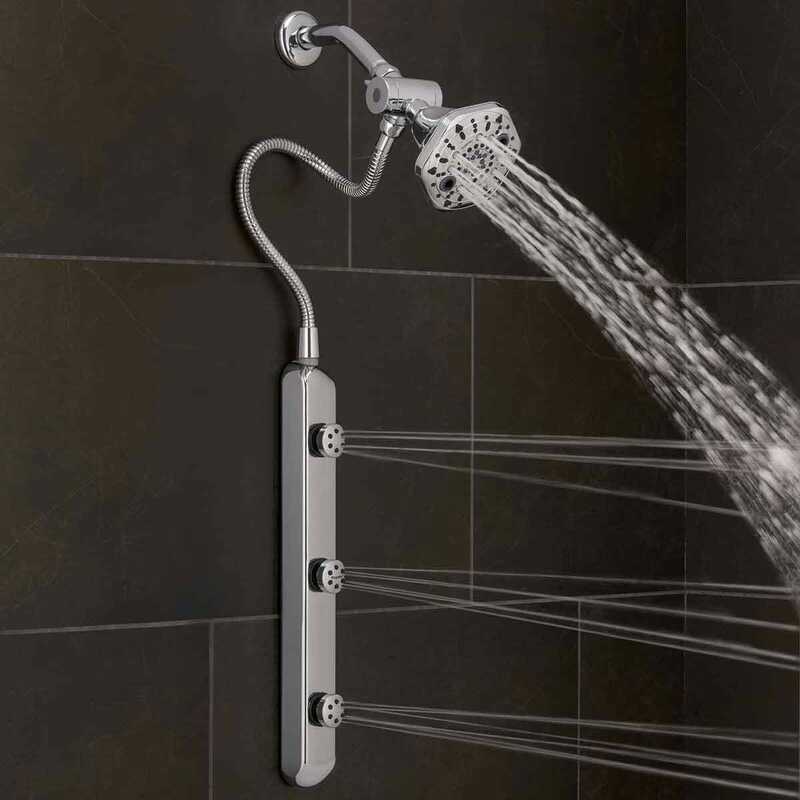 3 independently adjustable jets on the BodyBar rotate up, down, and all around up to 23 degrees in any direction to ensure no body part is out of reach. 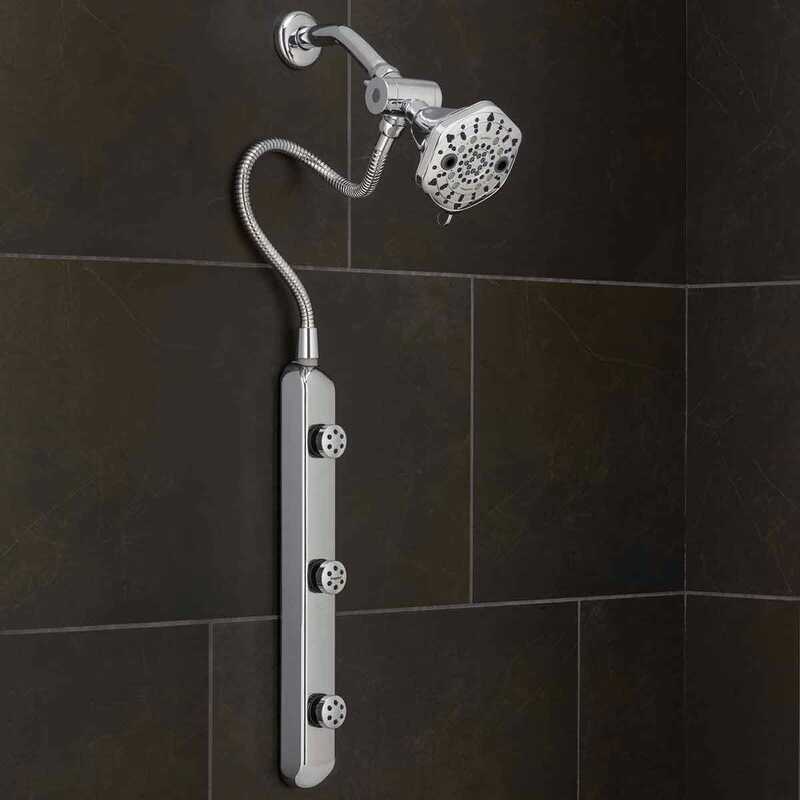 Includes a 30" stainless steel hose that allows for either vertical or horizontal placement. 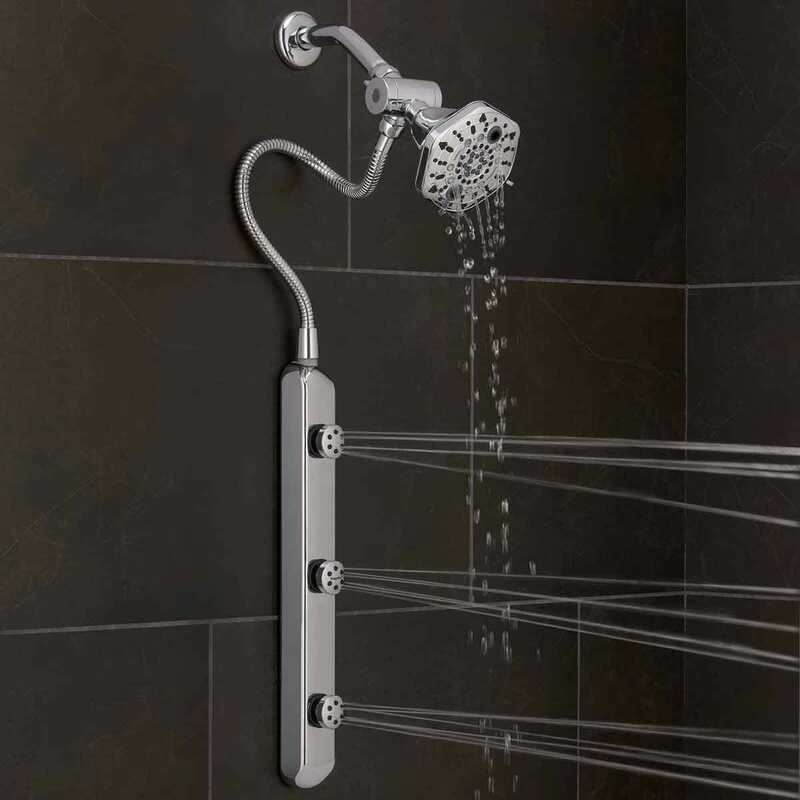 Installs in minutes on all surfaces with included commercial-strength 3M adhesive to reduce the worry of drilling into pipes, cracking tile or having to do an extensive remodel. 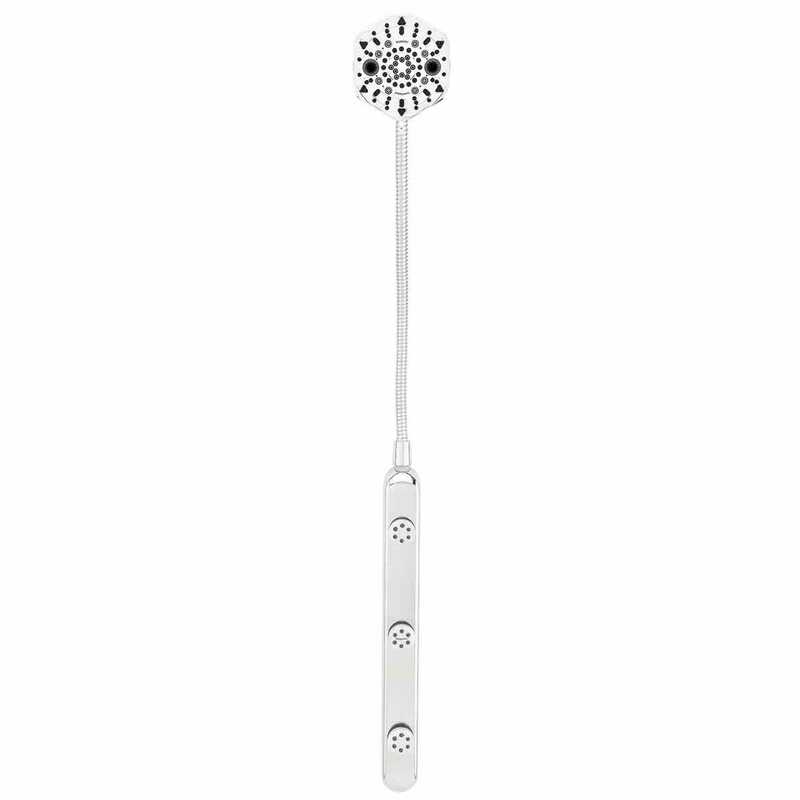 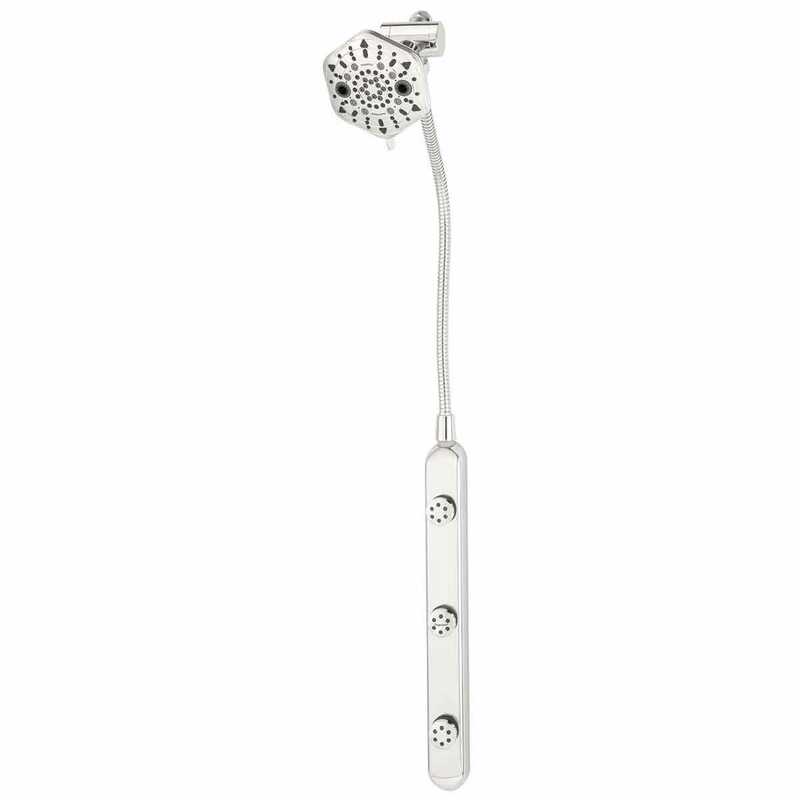 Shower System head measures 8”dia. 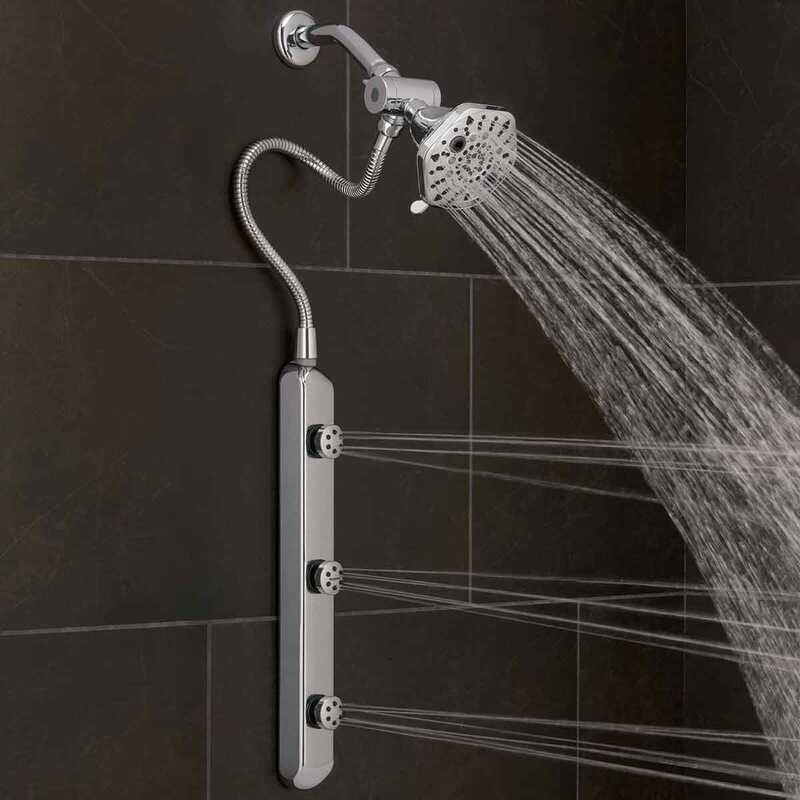 X 5 1/2”h; BodyBar measures 16 1/4”l x 2 3/4”w x 1 3/4”h.